Bloom: Penny and Tillie winner and DISCOUNT CODE! 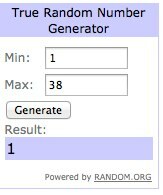 Penny and Tillie winner and DISCOUNT CODE! Well, it isn't very often that the first commenter wins! Kirsten, today is your day! Head on over to Penny&Tillie, choose your goods, and email us at pennyandtillie@gmail.com so we can send them your way!! And for the rest of you dears who were so kind and complimentary about our goodies--we'd love to offer you a little discount this weekend! Use discount code BLOOM10 to receive 10% off your entire order today and tomorrow. Also, we always offer free shipping over $35--code FREESHIP35. Thanks, everyone, for your enthusiasm for our little shop!